As your business grows, so too must your office space. Relocating is such an exciting time but when you’re disorganized and ill-prepared the whole endeavor can become stressful. There is so much to consider (from transportation to practicality of location) that some details can be forgotten without a list to follow. Here is a complete office relocation checklist that will make the transition from A to B much smoother. Ideally, you should start looking for a new space long before your current location exceeds its utility. There are so many factors to take into consideration to ensure that the new office space will allow for growth and expansion. – Is it easy for employees to get to? In London especially, you need to be considerate of people who take alternate forms of transport. Is it near a tube station, or in a cycle-friendly zone? – Can you afford the space? – Is there enough space for every room? Meeting rooms and work areas are a given, but have you considered communal areas and kitchens? – Is there enough parking space? The last thing you want is late employees, crawling the streets looking for an alternate place to park. Once you have a location in mind, pick a moving day and set it as your deadline. Make sure you leave yourself a few months for this as there is a lot to prepare. 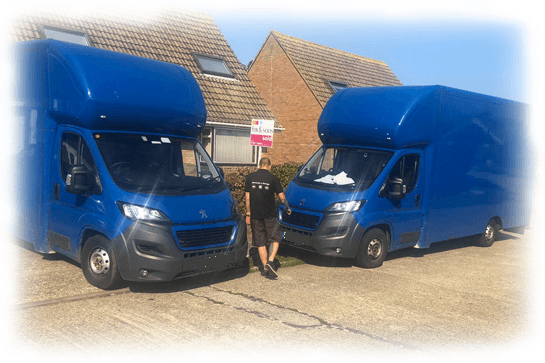 – Hire an office removals company in London. Your friend’s van won’t be enough to transport all that bulky office equipment. – Hire a storage facility to keep your equipment in before moving it into the new office space. Your removals company might be able to help with this! – Make an inventory of your current office equipment and order any new equipment that you will need. – Buy plastic wallets and organizers to store essential paperwork from filing cabinets. – Stock up on boxes and start categorizing them. – Order some new business cards with your updated address. – Look into cleaning services for the new office so that the first day back at work can be dust and clutter free. – Hire a skip to dispose of rubbish and broken equipment; there will be more of it than you might think. – Arrange a tour of the new office for staff. This can also act as an introductory health, safety and fire briefing. There is so much to organize before moving day, so you better get started. Contact Office Removals London to discuss the services we provide.